The modern village of San Fele is nestled between the peaks of Monte Torretta and Monte Castello and over looks the Vitalba Valley. The Comune includes the village of San Fele and eight small frazoni or hamlets: Agrifoglio, Armatieri, Difesa, Cecci, Montagna, Pierno, Masone and Signorella. In all the Comune encompasses about 95 square kilometers and has a population of about 3800 people. 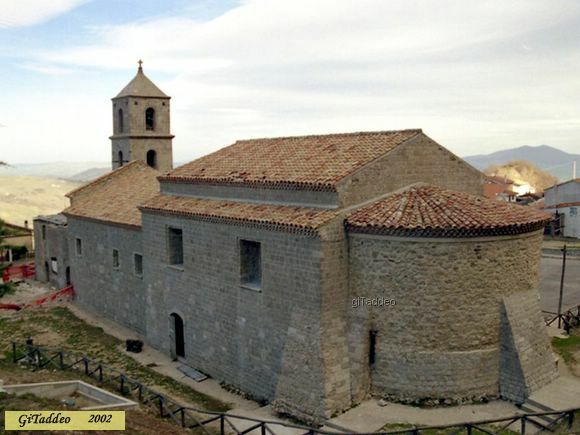 The Comune is located in the Italian State of Basilicata in the northern province of Potenza. The local region is referred to as the Volture which comprises the northwest corner of the province of Potenza. Although today the village is far removed from the commercial centers of Italy, the Comune has at its northeast corner a land feature known as the Crocelle Pass. This southern passage through the Appenine Mountains was, during ancient times and through the middle ages, a connector between the western Italian port city of Salerno and the eastern port city of Bari. As such the village lays on a very ancient trade route as well as on one of the Pilgrim/Crusader routes to the Holy Land. Some of the oldest elements of the village’s history and architecture reflect activities associated with its location in those ancient times. 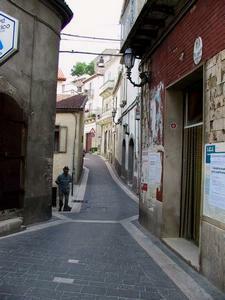 Geographically the village lies about thirty-five miles east of Salerno. The principal industry is agriculture, in particular, herding. Local wine and cheeses are made there and are exported under the regional label of Volture. Mt. Volture is a very large extinct volcano which can be seen from San Fele and which dominates the skyline of the region. The region is geologically active and frequently subject to earthquakes. The village has a tragic history associated with several severe earthquakes including the one that struck in 1980. Thermal springs and water of high mineral content are common in the region. A small portion of the Comune is taken up as part of a larger national park. This area is quite breathtaking in its natural beauty, and lies in stark contrast with the image most people have of the landscape of southern Italy. Within the park the visitor can glimpse what the region looked like before it was deforested and why the ancient Romans called the region Lucania. The thick lush forests are dominated by oak, maple, beech and mountain pine giving the visitor a sense of being in the wooded areas of the Sourland Mountains in western Princeton and Hopewell in New Jersey. Even native southern Italian visitors tend to respond in surprise when they encounter these forests, often indicating that they feel they are in Austria not southern Italy. Vacationers can enjoy year round hiking, horseback riding and hunting in the park with appropriate permits. Fall foliage is quite colorful and the region and due to its elevation experiences four seasons including occasional s now. Efforts to attract tourist business to the Comune is only just beginning. At present, hotel accommodations while available are limited. Efforts to expand accommodations are progressing. The nearest mass transportation terminal remains the rail station at Bella but no public transportation exists to bring the traveler the 15 mountainous miles to San Fele. The Feast of the Madonna Di Pierno which is celebrated in August has drawn many visitors to the village for the past 800 years. However the church, parts of which date to 1189, was damaged in 1980 and has only recently partially reopened. Work continues on the rest of the church and the remains of the attached abbey. Excavations of tombs dating back to the 13th century are taking place at the church site. The population of San Fele peaked in the 1850s. Since that time every census conducted, including the last one of 2000, has recorded a net loss of population. 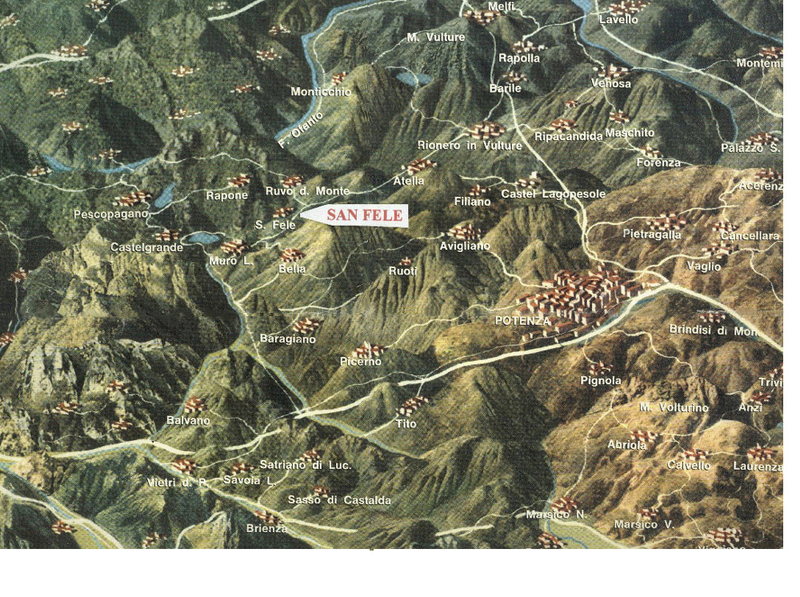 In the census of 1850 the population of San Fele was recorded at over 10,000 people. The present population of the village, which stands at 3800, only partially reflects the extent of emigration over the past century and a half. Today the four major concentrations of San Fele descendants from that emigration residing largely in New Jersey, New York, South America and Australia all have populations far in excess of that which is now resident in the village. In fact, the descendant populations of San Felese in Western New York and New Jersey combined are roughly five times that of the present village. Based upon San Fele genealogical surname lists available on the web there are roughly two hundred surnames associated with the village. Village records of marriages, births, deaths, and even occupations are quite good and reach back hundreds of years. For those who are interested in researching ancestors however, it is important to make your inquiry in Italian. Many family surnames are identified as noble, relating back to the original occupation of the fortress by the Lombards and Normans beginning in the 11th century.